Who Are The Sharks on Shark Tank? The current season of Shark Tank features 6 business investors or Sharks. Here is a rundown of each investor. Kevin O’Leary is a successful Irish-Canadian businessman and investor. He started the educational software company Softkey in the 1980s. You might remember Softkey as one of the pioneering software companies to release software and games on CD-ROM. After O’Leary left Softkey he started mutual and investment funds, and as of 2014, these funds were worth over $1.2 billion. In 2006 O’Leary was one of the first investors to be featured on CBC’s Dragon’s Den: a Canadian reality show following the Shark Tank format. Since 2006, O’Leary has worked on Dragon’s Den and Shark Tank helping numerous entrepreneurs to start successful businesses. Barbara Ann Corcoran is a successful American businesswoman from New Jersey. In the 1970s she started a successful real estate company, and was responsible for producing the annual Corcoran Report, which chronicled real estate trends across New York City. In 2001, she sold her real estate company for $66 million. Corcoran has been a primary investor on Shark Tank for 9 seasons and has invested over $5.4 million in successful deals. Daymond John is the founder and CEO of FUBU clothing. He started the company in his Mother’s house in the early 1990s. The Queens, New York business grew at John’s hand, and since its inception has sold over $6 billion worth of clothes worldwide. John joined Shark Tank in 2009 and has invested more than $7.5 million in new investments. Today, John continues to work on Shark Tank and has become a popular public speaker. His net worth is over $250 million. 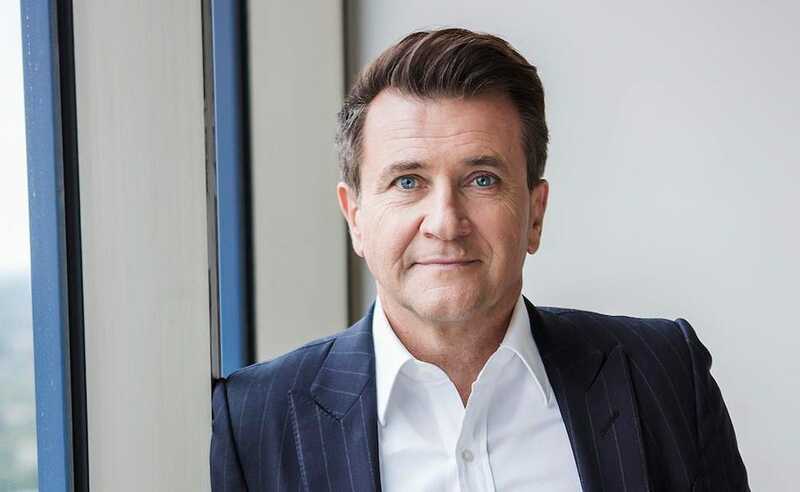 Robert Herjavec is a Croatian-Canadian businessman and investor. In 1990 Herjavec started BRAK systems, a Canadian Internet securities company, which he sold to AT&T Canada in March 2000 for $30.2 million. Since then he founded the Herjavec Group, one of Canada’s fastest growing tech companies and one of the countries largest IT securities businesses. The Herjavec Group has continued to grow, increasing Harjavec’s net worth to over $250 million. He has been a member of the Shark Tank panel since the first season and has made many key investments with the show’s entrepreneurs. Mark Cuban is an American businessman and investor. He founded MicroSolutions, and in 1990 sold it to CompuServe for $6 million. He then went on to found Broadcast.com, which he sold to Yahoo! for $5.7 billion of Yahoo! stock – the largest deal of its kind. Since then, Cuban has become the owner of NBA franchise the Dallas Mavericks and Magnolia Pictures, a popular film distributor. Cuban has placed on the Forbes Rich list at No.211 in 2011. Cuban has been a member of the Shark Tank panel since 2011 and has invested more than $19.9 million. Lori Greiner is an American businesswoman and entrepreneur. She is most famous for her series of inventions and prototype products that have sold on the Home Shopping Network and QVC. Her work with these TV stations has earned her the nickname ‘The Queen of QVC’. She has featured, as an investor on Shark Tank since 2012, and her investments are well known as some of the most lucrative in the show’s history. Greiner has a net worth of over $250 million. Are you a fan of Steampunk? If you are going to a convention or if you are only throwing your cosplay party, then it would be good for you to don your best steampunk cosplay outfit. Whether you are new to cosplaying or been doing it for years, this list will be able to give you quick and easy steampunk cosplay and costume ideas. One of the most popular steampunk cosplay outfits is the military character. How can you dress up as an army officer from the steam-powered era? Just look for military outfits and add some details so that you can change them so that they fit the genre. 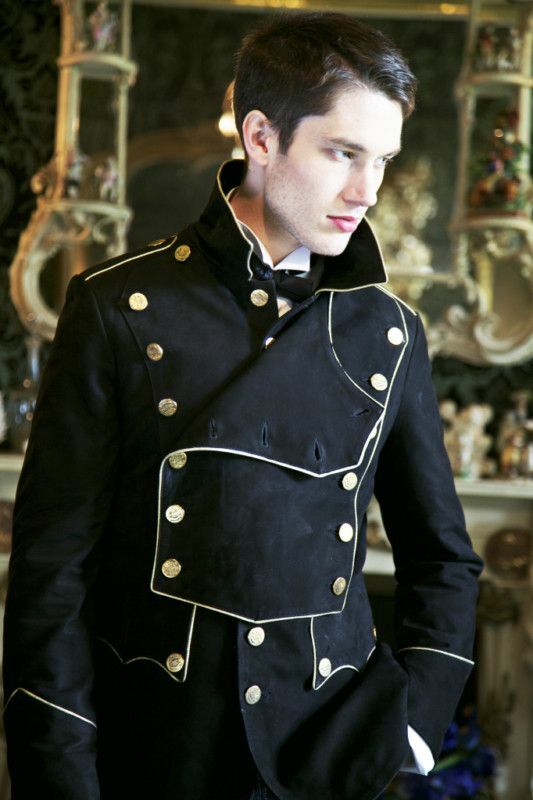 Dracula Clothing carries some epic military steampunk military items. To start with, you should place some metallic accents along the clothes of your militant outfits. While gold is good, rusty bronze or copper metals are even better. Once you finish adding details to your military outfit, make sure that you know how to play the part too. The steam-powered era was filled with brilliant and famous inventors. When you think of this time, you are also thinking about great inventions that helped change the world. Make your character an obvious one by wearing an inventor outfit. There are a lot of steampunk inventor looks that you will be able to find on the internet. If you see the similarities between them, you will be able to conclude that they all don their trademark goggles. Add realism to your steampunk cosplay by using the steampunk goggles that would highlight your look. Find out how to make your steampunk inventor costume here. If you think that steampunk cosplay means that you are only in a limited type, then you should think again. The steampunk genre is actually a very flexible one. In fact, it would work well with genre mixing. From games like Zelda to movies like Harry Potter, it can be easy to add a steampunk accent to another genre. Whether you are planning to be Cinderella or Peter Pan, you can easily have a steampunk cosplay with Disney characters. It is easy since you simply need to replace some of the puffy clothing with metallic pieces. Add some fierce charm to the originally cute characters of Disney once you represent them with your steampunk cosplay. If you are planning to be Snow White, instead of a normal apple, why not choose one carved out with metals? There are many ways for you to transform into a steampunk Disney character. Steampunk does not only extend its genre-bending with cartoon characters. You can also convert your favorite fictional characters into someone who will easily fit the steam-powered era. From your lightsabers to your dresses, you can easily add a touch of steampunk to it. Only replace some of the regular clothes and items with something more metallic. In fact, how about instead of making a lightsaber that only lights up, it also have viewable cogs that move? The possibility is endless. You would have much fun transforming the genre that your favorite Star Wars character belongs to. Remember to accessorize your steampunk cosplay costume with watches and sunglasses. Steampunkartifacts.com is a good source for such items. Every time you are expecting a new member in the family, you always have to prepare yourself to buy furniture and in about 6 months, the child will have out grown your intensive investment. You have to make another investment to be able to sustain their growth and match their increased demands. It is a sad and financially intensive experience that definitely makes matters really hard for you given that over the next couple of years this will be the story of your life. The unfortunate thing about furniture for kids is that it does not have a high resale value so that means you would have to sell at a more significant loss. However, this does not have to be the case. With a little advice and more meticulous buying, you should be able to get furniture that your kids will be able to use for longer. It will save you more money while serving your kids for longer. Here are some ideas that you should try to implement to get furniture that grows with your children. When buying furniture for kids and especially one that you hope will be able to survive for long, the rule of thumb is to pick one that you believe will be able to handle the man handling as well as severe wear and tear. With that in mind, you do not want something that is too costly since they are not known to be very long lasting. Also you need to allow the child to have his freedom in their room and thinking that you left them with that customized cot that is worth more than $3,000 might make you uneasy forcing you to limit the freedom of the child. Instead go for furniture that is affordable, strong and has multiple uses like preschool tables and chairs. This is a fact that many parents might agree is usually a problem. Most kids value space more than furniture and as they grow, their demand for space increases. When getting furniture even for a themed kid’s room, you should center your focus on the beds, dresser, bookshelf and a nightstand. Those are the essentials and if you make your choices right, you can but an adjustable bed, and the rest might not need to be changed for quite some time as the child grows. It is not a good idea to buy too many pieces that crowd the child’s space. It is hard to fend off impulsive buying. But, for the sake of your finances and even the child, you might want to really put up a fight. Always make sure you compare and contrast from the different stores. Work around the pricing and the quality of build that you are getting and see if there are any bargains that you can take advantage of. You can also ask for some help from friends and family who have bought furniture for kids before. This way you are able to get some much needed insight. Buying furniture for kids is hard enough. Having to buy it while projecting and anticipating their growth makes matters even harder. Which is why you have to make sure that you have the proper tips to help you along the way and ensure that you make the right choice in the process. There is an entire branch in the decorating world devoted to colour – how to use it, what each one means, colours to avoid, what colour shirt will guarantee you a successful interview… the list goes on. What is often overlooked is the enduring appeal of “white”. It is a perfect backdrop for any décor style and colours stand out more when white is your basis from which to work. White is a far cry from the sterile doctor’s room label. Nothing else says clean and fresh and is the chosen base for many a sunny residence. It is almost expected that a seaside home will be painted white with blue accents. But you can put your own individual stamp on your beach house and throw the opinion of the latest trend-setting magazine right out the window. Certain colours can date quite quickly and if you live with one colour too long there is a strong possibility that you will tire of it sooner rather than later. Having to repaint your entire house or the room which you’ve grown to dislike can be quite costly. Paint finishes follow trends as well – the speckle of one year has to be replaced by the ripple the next; gloss one year has to be replaced by matt, otherwise you will be seen as being tardy in your décor trend following. Accenting with colour becomes less expensive and you can change those pieces virtually every season or every time you change your mood. Any colour, whether it is muted or bright, will pop more when seen against a white background, be it a wall, chair or bed cover. However, decorating is all about breaking the rules in a stylish way. Throw the rule-book out the window and bring in unexpected brights. Of course black paired with white never loses its style and there are numerous décor pieces that will lift any room. Coloured lighting provides unexpected ways of bringing colour to your white background and create the mood you cannot do with a set colour. And of course it is much cheaper to change the colour of a lightbulb than a wall colour. Not many people are brave enough to combine chrome and metallics with white, but done with style, has the ability to lift the room from drab to classy with just a few additions. We at SSE don’t think enough has been said about wicker, and the beautiful furniture that is made from it. Wicker is traditionally made of plant stalks, such as willow, that have been woven together. It is commonly used in baskets, but is also used in furniture. It is mainly used for outdoor or conservatory seating, and occasionally indoors too by various companies such as this one. Above is a typical example of the wicker “throne” chair, famously used by Morticia Adams in the classic Adams Family television and film series. This is such an elegant and timeless piece. However; as well as being beautiful, wicker has many other qualities. High-quality wicker is very durable. There are pieces of wicker in existence that are more than two thousand years old! Handwoven wicker was very popular in ancient Egypt. Nowadays wicker furniture is mostly produced by machinery. A great thing about wicker is it is relatively straightforward to make yourself by hand. You will have heard of basket-weaving, but you can also make wicker furniture. 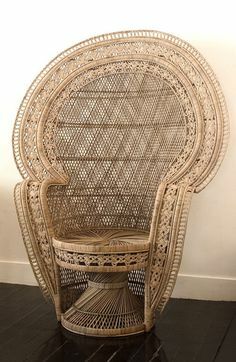 Due to the material being woven, wicker has some “give” in it, making wicker seating very comfortable, with or without a cushion, although with cushions is best! The plants that wicker is made from only grow between trees in the forest. And those trees are protected from deforestation for the production of rattan, the blend that most wicker is made from nowadays. You can buy wicker furniture suites for any price from $100 for a simple set up $1000 for the more luxurious furniture sets online, at flea markets or antique stores. For outdoor use, synthetic or plastic rattan is used instead of the natural rattan, purely because of having to endure all weathers. Pick wicker furniture that suits your home the best. A good wicker set can really transform your simple garden or yard into a beautiful living space. To do this, like indoor furniture, ensure you have enough seating for adults and children. When you’re choosing your outdoor wicker furniture, look for generous two or three-seater sofas if you are looking to create a space for adults to relax together. Including a wicker coffee table, will allow you to create a stylish lounge style space on a patio, terrace, deck or lawn. Wicker chairs are also great for eating together outside, just make sure your dining chairs have supportive backs and deep cushions. Armrests are a bonus. Artificial wicker comes in all kinds of colours. White maximises small spaces and gives that shabby chic feel. Of course, you can paint wicker yourself, and that includes organic wicker, of course. Just clean the wicker, apply an undercoat, primer, spray with paint and then leave to try. Why not make your own wicker basket to put on the coffee table, as a lovely hand-made final touch to your wicker paradise! If properly handled, furniture maintenance should be pretty simple. With clear guidelines, furniture maintenance can be carefully handled without the need of hiring an expert to the job. Maintaining your own furniture is not only cheap but also enables you to arrange them in a manner that is appealing to you. Getting an expert to do the maintenance work is not a bad idea at times one will want to keep his or her furniture pieces in a way that will displays his or her perception of a neat home or office. Furniture maintenance basically entails cleaning, dusting and polishing their surfaces. However, it is important to note that taking good care of your furniture should not stop with cleaning them because proper furniture arrangement also helps a lot in ensuring that the pieces of furniture remain in good shape. As simple as it may sound, ensuring that your pieces of furniture are clean at all times is the first and most important guideline of how to properly maintain your furniture. This is an easy procedure but has to be done on a regular basis in order to ensure perfection at all times. Furniture is made from different materials, therefore one ought to be very keen when handling each piece of furniture to ensure he or she cleans it in the rightful manner. Most pieces of wood only take a piece of rug and clean water to ensure that they are clean. However, certain pieces like giltwood require adhesives or professional help to ensure that they are in good shape. Prior to cleaning the coating or wood, one has also to ensure that the surface is not damaged in any way. In any case one finds out that the coating or surface is unstable, he or she should consult a conservator to polish the damaged pieces. One can successfully remove loose dust by simply rubbing the furniture surface with a soft piece of clothing or first dampen the clothing with water in case it is too dusty. A vacuum cleaner is also an option if the pieces of furniture are too dirty. The only tricky part lies with the uneven surfaces that may leave the furniture with a lot of dirt. In such cases, a brush with soft bristles can be used to make sure that the surfaces are left spotless after one is through with the cleaning. A vacuum cleaner should be able to the trick when it gets to dusting upholstery. However, the surface must first be screened to prevent the tip of the vacuum cleaner from possibly damaging its surface. A less intrusive method or rather reupholstering should also be put into consideration so as to eliminate damages on the furniture. Otherwise, stubborn stains and any upholstery damage should be referred to professionals. Most furniture comes with contemporary attachments in form of silver, gold or bronze. According to experts, this is where most people go wrong when it comes to maintaining the furniture. These shiny metal surfaces should therefore be cleaned with the help of an expert so as to keep them shiny. © 2019 Seattle Skeptics. All rights reserved.